Experts have estimated that for a family of four to five people it is enough a greenhouse of 15-20 square meters to provide its own source of fresh vegetables throughout the year. Site selection is very important. First, it must receive as much sunlight as possible. 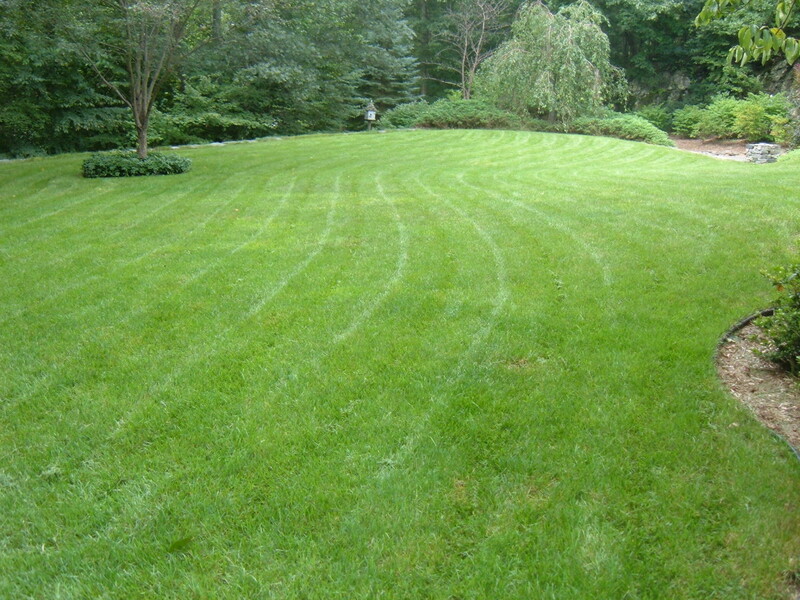 Then, the soil should have a low humidity in winter and be protected from strong winds. For example, the greenhouse should be not far from the wall of a house or an outbuilding, but also must have sunlight, or to be at a safe distance near a curtain of trees, which stops the wind. May be taken into consideration that a slightly sloping ground will help water draining and one located in a higher place will be safe from flooding. If it is a fertile soil, sandy and with a sufficiently low salt concentrations, the land can be used as such. 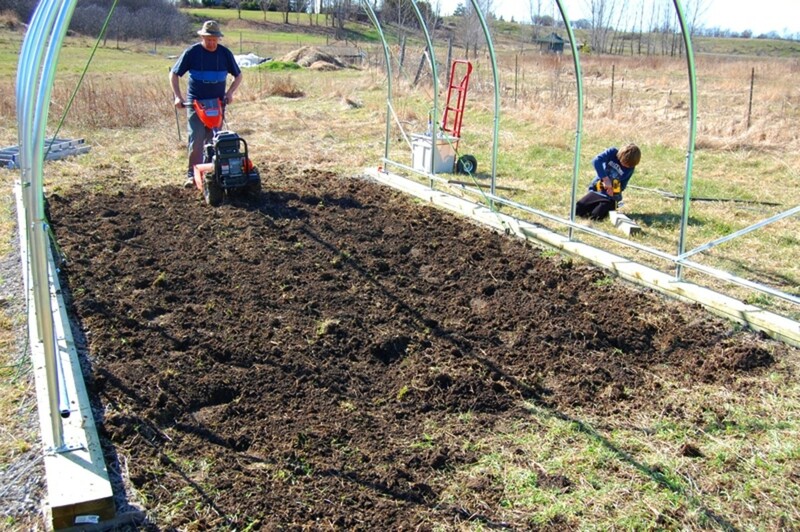 Otherwise, you have to dig with a spade to a depth sufficient for the development of future plant roots and replace it with sandy soil or garden soil (available for purchase), or with forest soil taken from an area about you know that has not been cultivated for years, a soil with nutrients unabsorbed by cultures. Certainly, you want to eat organic, so you need to choose a fertile soil, where you won't have to use chemical fertilizers, only manure, possibly from your own animals. 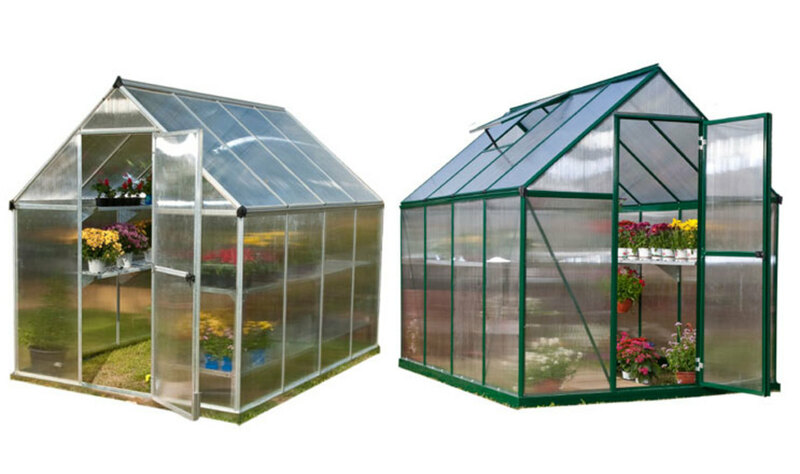 If you have the money, you can buy a mini greenhouse or a ready-made greenhouse. Internet is full of such offers. Prices vary depending on size, structure and amenities you want. For example, a mini greenhouse of 6-8 square meters and a height of 2 meters, with metal frame, walls and roof made of transparent polycarbonate with natural ventilation through sliding doors and folding two small windows in the roof, costs around $900-$1000. For larger blocks and various structures such as tunnel version with metal frame and plastic coating film or a square structure with a base of brick or stone, costs are high, somewhere in the 35 euro / sqm. 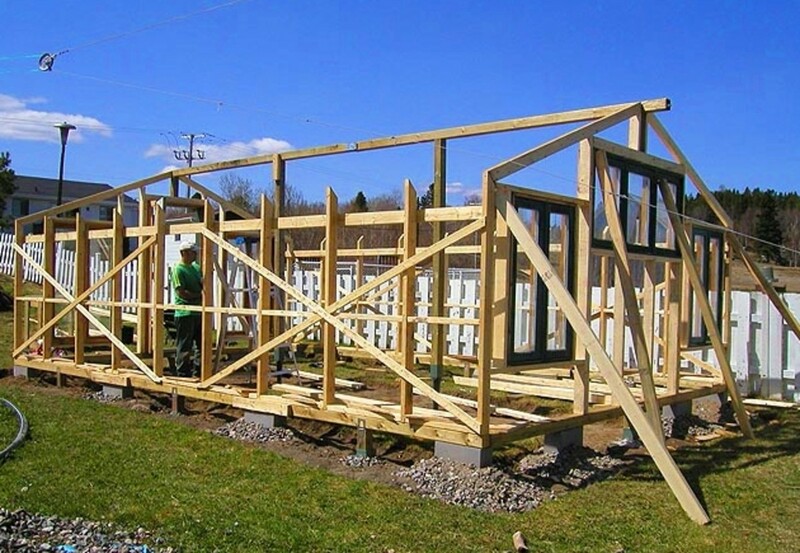 For a solar wooden structure, costs are much lower, about 15 to 20 euro / sqm. If you want to make a business, so to sell vegetables, you need a true solar, which costs much more. 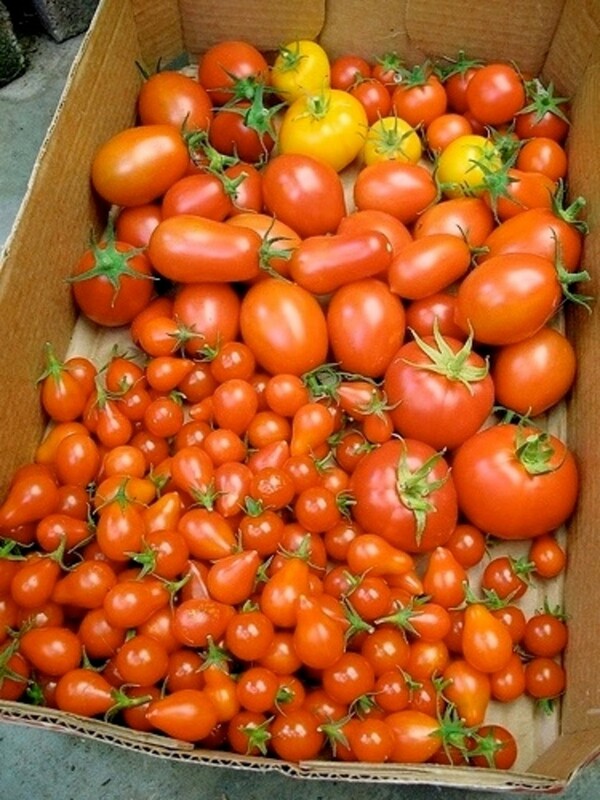 For example, according to some estimates, about 500 sqm solarium, fully equipped (drip irrigation, etc.) exceeds $10,000. Then you'll need money for seed, work, harvesting, transport etc. If you decide to build your greenhouse by yourself with what you have on hand, buying only what is necessary, costs are reduced more. For example, you can use beams of acacia wood, oak, elm and beech, less softwood, like fir. The building itself is made largely the same as that of a house, with ties and rafters. 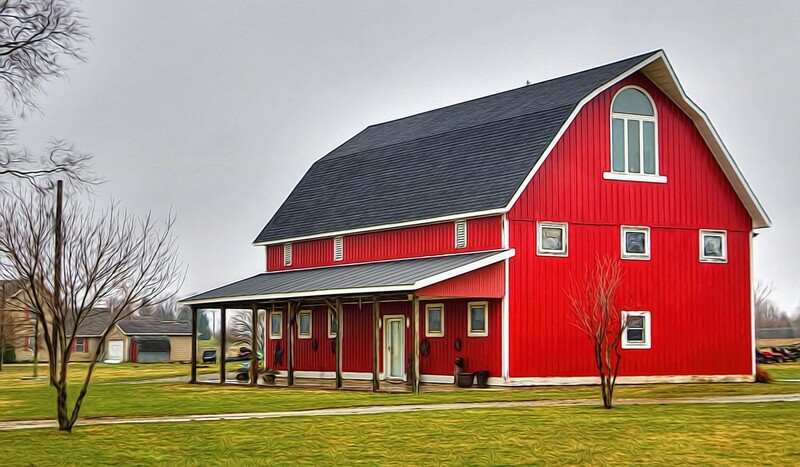 Note that although a wood structure is cheaper, a metal structure with profiles is more lasting and profitable on long term. The greenhouse is nothing but an enclosed space specially created to generate optimal plant growth and development. Basically it creates that micro-climate which plants perceive favorable. Its original purpose is clearly defined for the purposes of protecting plants from the negative factors that could influence the growth and fruition. 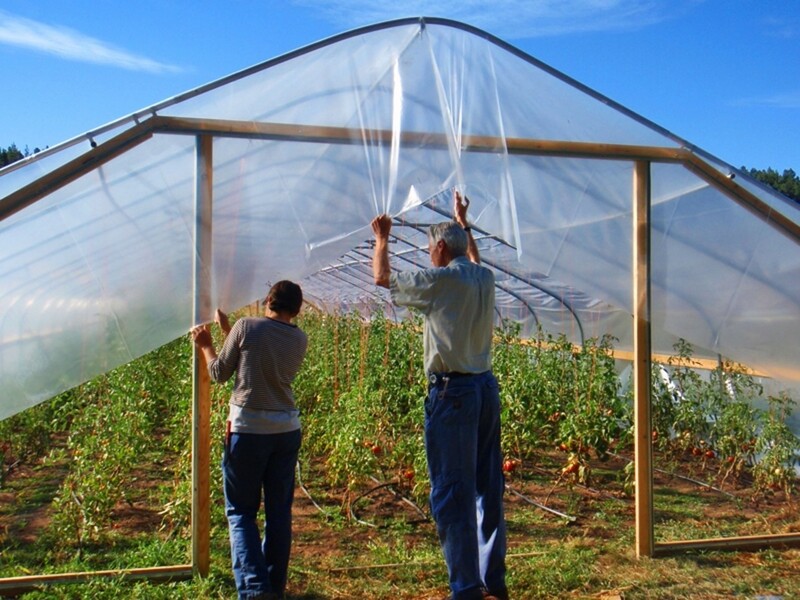 There are many ways to build a greenhouse. In this case can be designed in different materials, the base is polyethylene. You can build greenhouse skeleton of iron bars of different sizes in the form of arches supported together by thin wire rack. It is very easy to install and cost of materials is not that expensive. Its biggest advantage is that you invest once and you can use three or four years. After this period it is only necessary to change the film. Because wood is a material available to everyone and processing possibilities are available, let's see what to do in this regard. 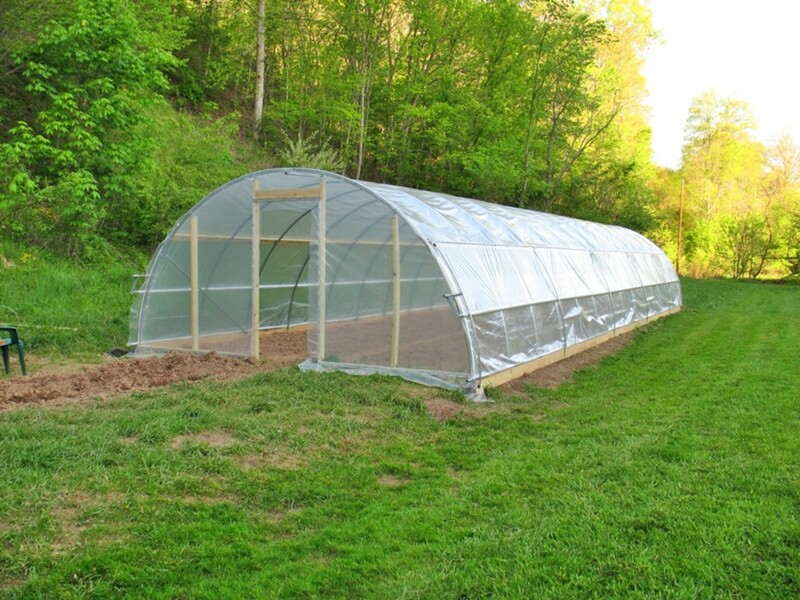 The first thing you have to do is take into account the size of the greenhouse. I refer to the length, width and height. All of these are preferential less height which should be 2.5-3 m. And that is in order to plant large plants such as tomatoes. The next step is to establish the supporting pillars of the greenhouse, which can be made of wood. I recommend that these pillars are of a hardwood such as acacia. You have to draw or mark the surface of the earth on which you want to build. Prepare pillars, stakes. Their length should be 2.5 m.
Dig holes every two meters. Pit depth is 50 cm. Type the posts in holes and align them. After this operation establish each column separately. How do you do that? Add to each column the soil that you removed when you dug pits and settle it with a wooden beater or other toll. 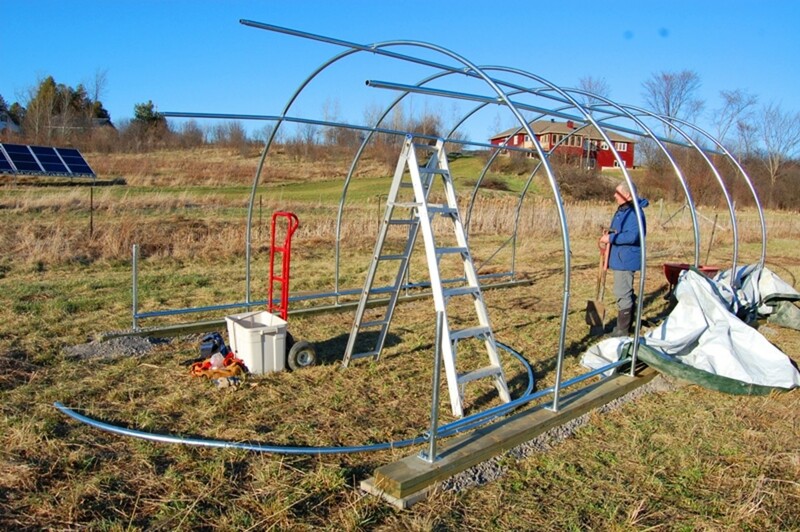 Behold your greenhouse began to take shape. What are the next steps? Add a beam above the pillars and link them with each other. 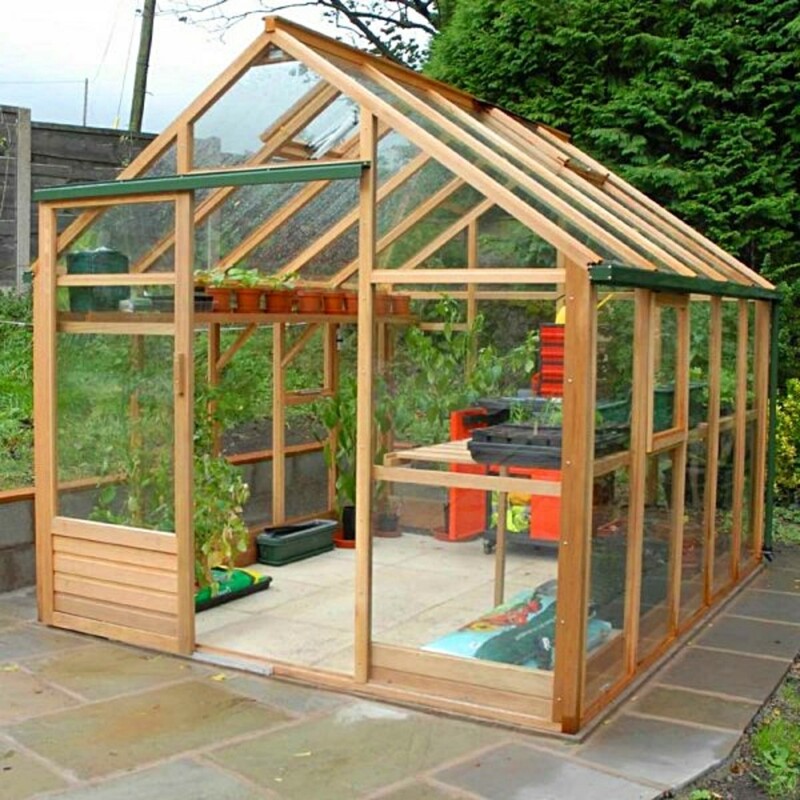 After you have finished, defines greenhouse in two equal parts and sets the length of the posts below to enter here. The first two pillars must be located at the front and back of the greenhouse. Their length is 3.5 m. Consider that 50 cm. will enter in the ground. Once you have established these pillars, Equalizer's distance from them (front and back) and enter the following stakes. Do not forget to apply a beam above them. If things went well all you have to do from now on is to link the two bases, skeletons together. Thus unite beam placed on pillars that make up the walls of the beam that forms the greenhouse with its height and thus creates the skeleton that forms the roof. For this operation use fir plank. Measure the back surface constituting each side of the roof and beat plank of 50 in 50 centimeters. Or every half meter. Because the roof has two parts, take care that these boards to match each other. The distance between the slats I mean. And at the top it must come together. And behold, your greenhouse is almost ready. 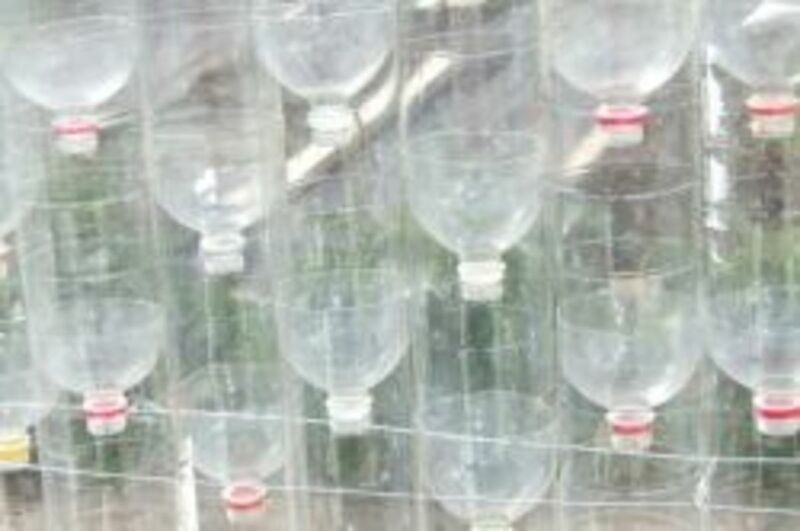 To avoid storing rainwater on the roof, don't put wires or anything else above these boards, because when it rains, are formed so-called bellies of the film which may break your greenhouse. You can now add to your greenhouse a front door. Of course you can also put the strip on the sides curing, the idea is to be well consolidated. 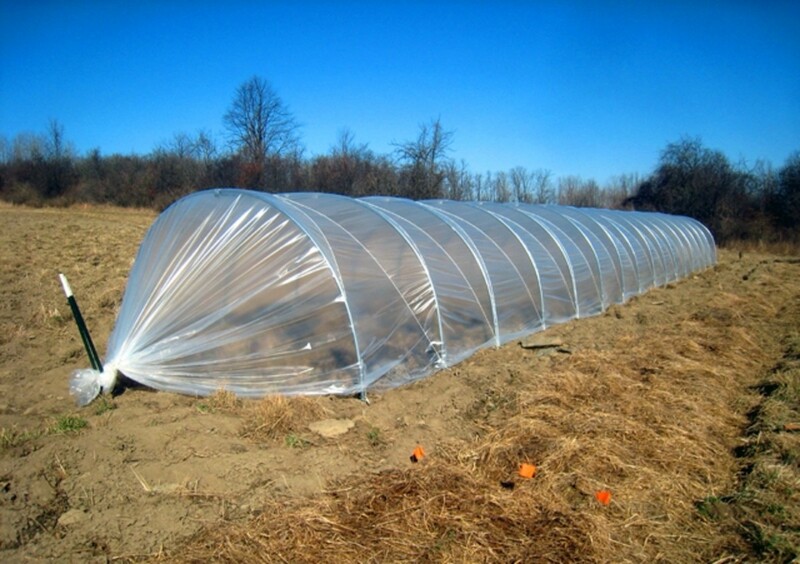 After you have reached the end of the construction, is time to wrap with foil your greenhouse. We will apply to the greenhouse these two separate methods. Wrap the roof first and then you wrap the sides. How to do this? Measure the roof, measure the foil and apply it over the roof. Further, catch film with lath on one of the side beams (which one you like, the left or right). Skip to the other side of the greenhouse, stretch film within the slat and catch it like you did before (the first part). Once you're done, go to the ends of the greenhouse. See that there you will have a surplus foil. Fold and catch the film with lath as you did at the roof. Then measure one side of the greenhouse, width and height. Make sure the height is greater than 50 cm, because a part of the film will get into the ground (about 50 cm). After you cut the foil, spread it on the ground and add a wire length. Catch this film with wire clips and lift it, placed it on the side beam (at the top). Dig a trench at the bottom and bury the 50 cm of the remaining foil. As you can see the film which makes one of the walls of the greenhouse is ready. What remains is to play with it from top to bottom when you need to vent the greenhouse. It is a very practical and useful method. 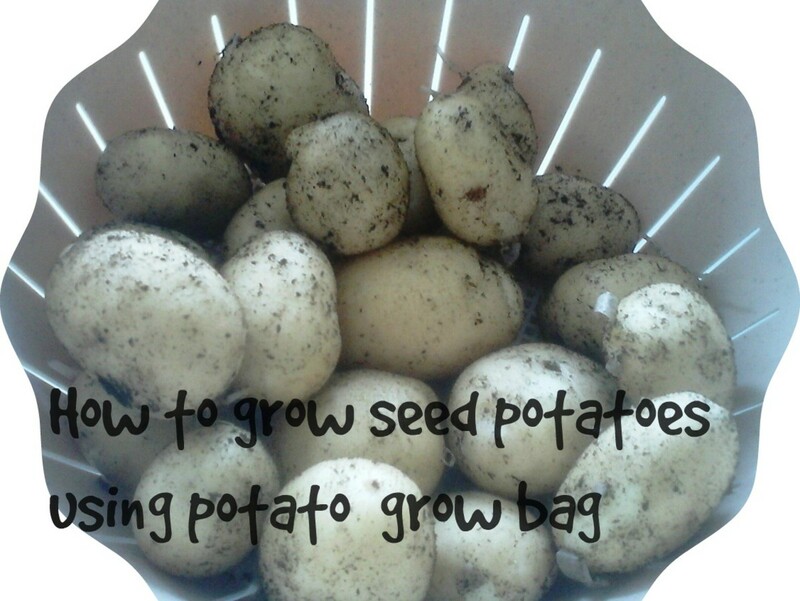 It gives you the opportunity to gradually air your vegetables depending on the temperature inside it. 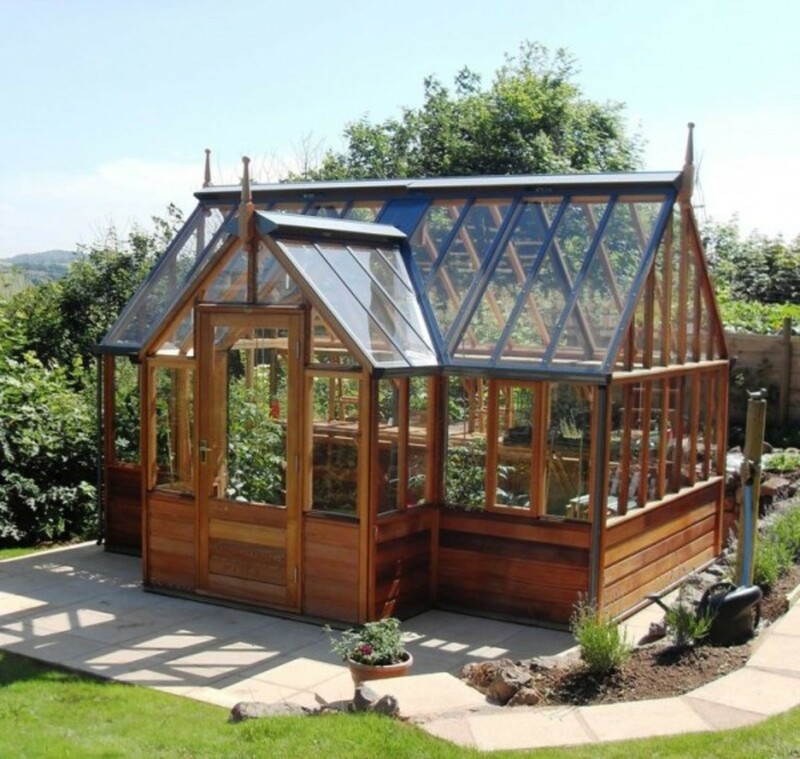 Would you build your own greenhouse? 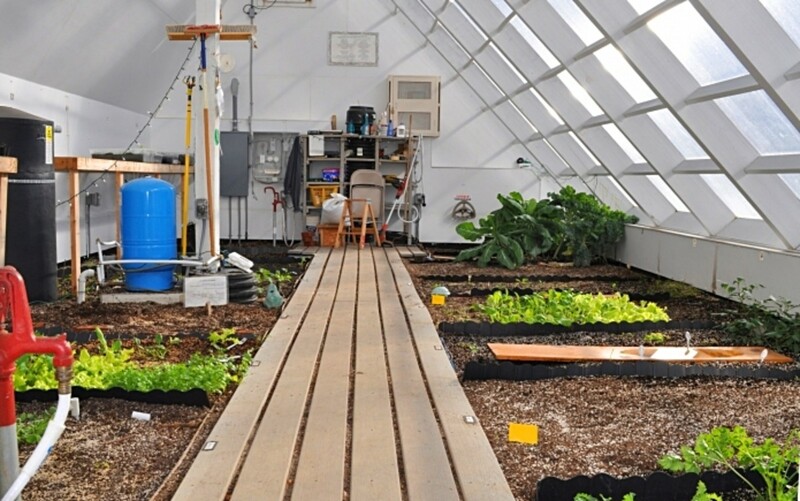 I would love to have a greenhouse--this is a great hub on the process! Thank you! This is a clever idea. Voted up for useful! @Blackspaniel1 , you're right, it's hard for plants during hot summers, but you have to water them every they, and there won't be problems. We have a unique problem here. The summer is so hot that too much sun can damage some crops. @DDE Thanks for your feedback, I'm glad you like my tips. Brilliant ideas and so well written. I like your helpful tips. I have noticed many green houses in Croatia. @favored , You're welcome, I'm glad to have your feedback. I have wanted to build a greenhouse for years now. Maybe this will be the year. Thanks for giving so many ideas and information for greenhouses. @Kailua-KonaGirl , me too. There are a lot of small businesses that you can do if you stay in a house. I so wish I wasn't in an apartment. I would build one and start a side business selling plants! @Anne Harrison , I'm glad you are using one. I think it's great to live in Australia where winter's aren't as cold as here in Romania. I'd love to have a greenhouse, especially during cooler months. @promisem , fruits it's quite hard to produce, because there should be some space for trees to grow. Thanks for reading my hub. Very informative hub. Have you ever produced any fruits in a small greenhouse? Or just vegetables? 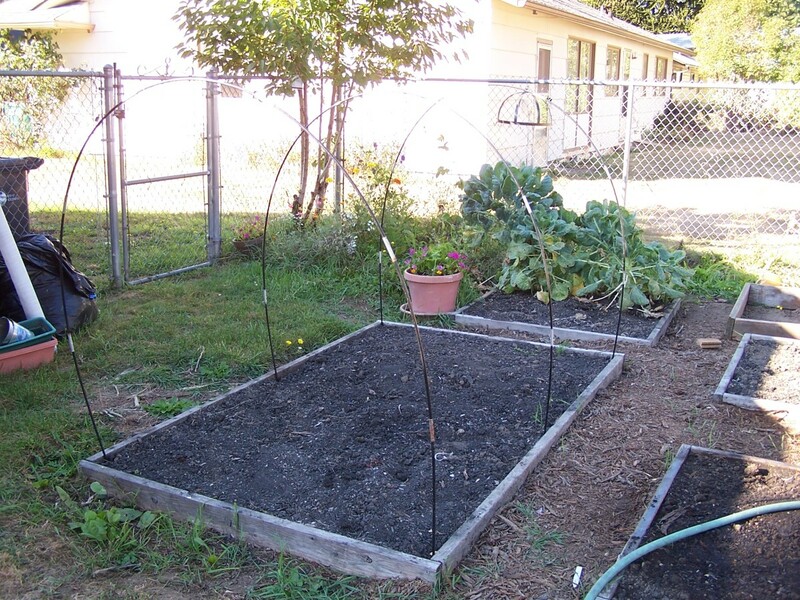 @klidstone1970 , It's great to have a vegetable garden for the summer. Thanks for your good wishes. @BlossomSB You're right, it's nice to have a greenhouse during winter. Maybe you will have again a greenhouse. I'm glad that you like my images. An interesting and informative article. Love the photos, too, especially the ones of wooden greenhouses. 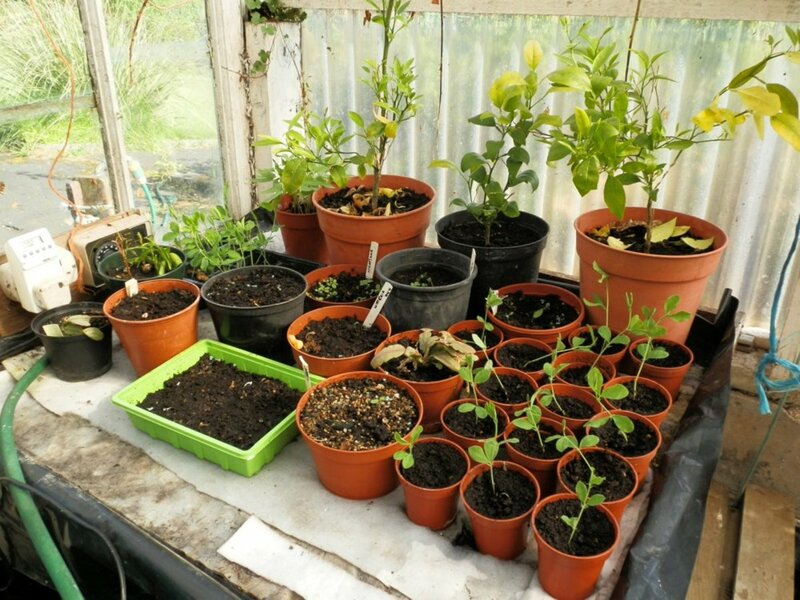 Once upon a time we had plenty of space and I loved my greenhouse my husband made. It was a cosy spot to sit and have a coffee in winter, too. No space now, sadly, but happy memories! 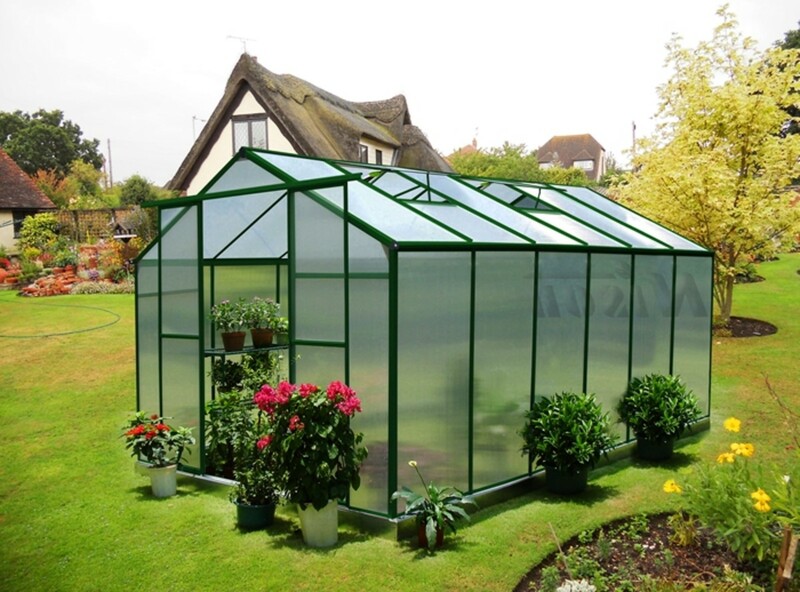 We have a vegetable garden in the summer, but a green house would be wonderful for the winter months. There's nothing like fresh veggies. Thanks for the informative hub. Best wishes, Kim. 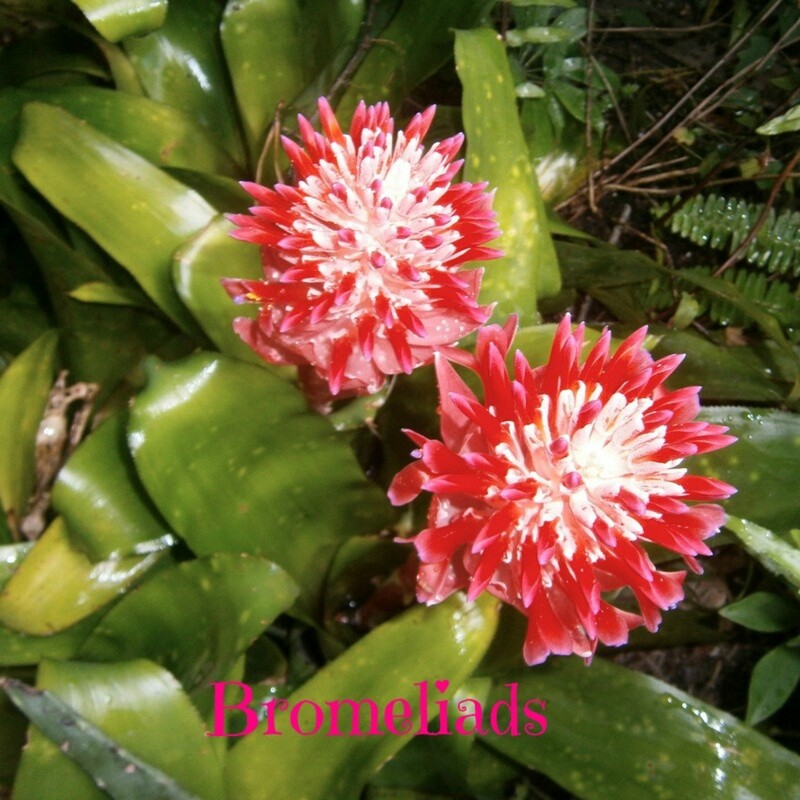 @lollyj lm , Thanks for your feedback, I'm glad you find my article interesting. @Celebrates You're right, but in cities there is no place for a greenhouse. But if I will move to a house, I will try to make one. A wonderfully illustrated and informative article on greenhouses. I want to build a greenhouse in the future. The food at grocery stores is getting expensive and probably less nutritious in general. It would be so much healthier to grow our own food. I think I liked the wooded framed ones the best. 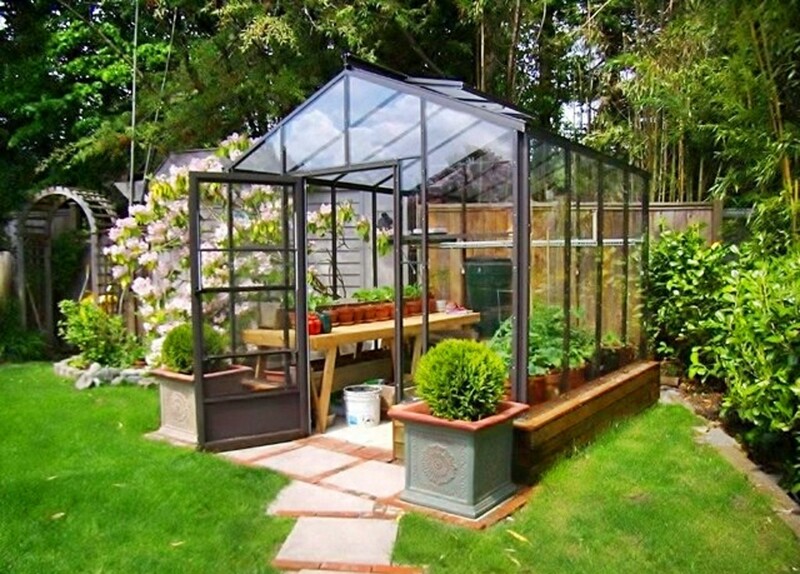 I would love to have greenhouse. Thanks for this helpful, interesting information. Well done! !